Money can buy happiness. It’s not a typo. Unlike popular belief, money does buy happiness. Studies have proven it. And that’s a great vindication for power shoppers just in time for black Friday (for those who read my blog from other countries, black Friday is the busiest shopping day in America.). After all people are already sleeping in tents outside Best Buy stores so they can get their new flat screen TV for a bargain. While some of us chase the deal, others chase the emotional high they get out of a purchase, we all ultimately seek the happiness that owning stuff brings. Hold on. Not so fast That’s not how money buy happiness, however. According to author Robert Frank, in his book Luxury Fever, the positive feelings we get from material objects are frustratingly fleeting. Spending money on experiences, especially ones with other people, produces positive emotions that are both meaningful and more lasting. For instance, when researches interviewed more than 150 people about their recent purchases, they found that money spent on activities such as concerts and group dinners out, brought far more pleasure than material purchases like shoes, TVs or expensive watches. 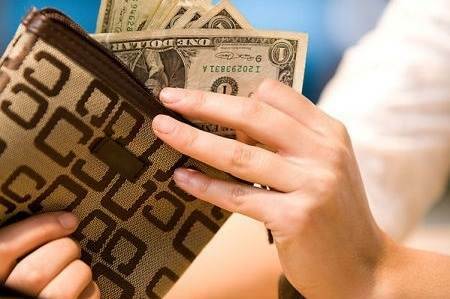 In another study, 46 students were given $20 to spend. The ones who were told to spend the money on others were happier at the end of the day than the ones who had been instructed to spend the money on themselves. The activity of spending money on others is called “prosocial spending.” As we enter the Christmas season, we often contemplate what we are going to ask for Christmas or, in my case, what new fun, expensive toy I’m going to “reward” myself for being, well, me. What if instead of treating ourselves with stuff we can’t really afford to impress people we don’t really like, we decided to create meaningful experiences for those we love? How different would our Christmas be if we chose to bless those whom cannot pay us back in any way? Your act of prosocial spending might be financially helping a friend who’s going through a tough time, or perhaps it’s spending time and resources on someone you don’t know well because, if you don’t, no one else will. Search your heart. I’m sure you’ll come up with a list of people you are uniquely positioned and gifted to help. I’m challenging you as I’m challenging myself. I hope we don’t ignore the prompting to make a difference and spend more on ourselves. As you read this, did some one(s) come to mind? This might be a little tangential, but I think there is a great difference between buying happiness and joy. I firmly believe you can’t buy true joy which is not circumstantial… I agree that joy will come from giving to others! A few people came to mind actually, and a few ideas of things I can/need to do. Thanks for this Maurilio! Great post Maurilio! I will encourage many of my ‘well-to-do’ friends to read it and put it into practice by treating ME to a special gift!!! Great idea! I’d luv to hand out $ to ppl in need. The funny thing is – even though I’ve heard these studies – it’s still so tempting to think that some material belonging will bring me happiness. It seems that I’m really good at convincing myself that everything I want is somehow an exception. But this post is great wisdom. And it’s also encouraging to think of how we don’t even have to spend a lot of money to create meaningful and memorable experiences with loved ones.